Suzlon believes in a culture of diversity and inclusion. Its equal opportunity policy ensures growth and development across the board without discrimination. Suzlon invests heavily in the growth of its employees. The company’s Global Learning & Development Centre (GLD) strives to build, nurture and enhance the company’s competency capital by creating world class wind energy professionals. 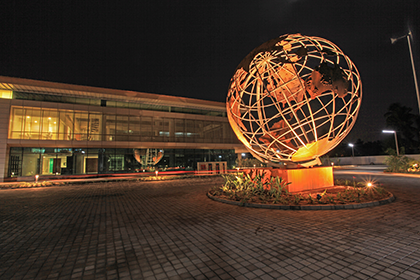 The Suzlon Excellence Academy (SEA), a 100,000 sq. ft. learning centre located inside the Suzlon One Earth campus, boasts of state-of-the-art facilities like learning spaces, amphitheatre, library, wind gallery and meeting rooms. The company has an in-house team of highly qualified trainers who conduct regular training on a range of topics like becoming an effective facilitator, training the trainer, technical simulation and more. Through its Executive Leadership Development Program, the company selects and grooms high performers within the organisation to become future leaders. Suzlon’s journey towards holistic sustainable development is built on the foundation of five values – agility, creativity, value addition, commitment and integrity – that govern the actions of each employee within the organisation.